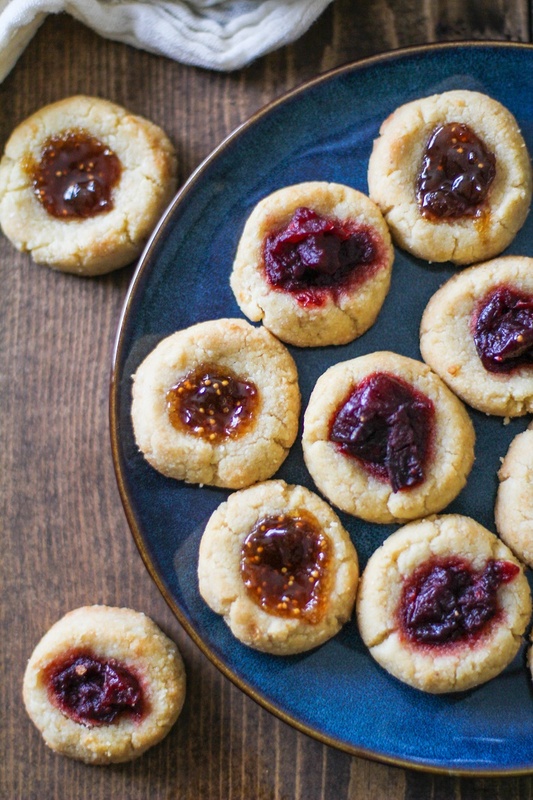 These grain-free, sugar-free paleo thumbprint cookies are warmly spiced with cardamom, and make excellent holiday gifts. Plus they’re healthy. Eat Share them all. Over the weekend, I finally finished reading The Fault in Our Stars (took me 2+ months), so you can just imagine the hot mess of a situation that was happening on my couch, and how in need of cookies I was. Crockodile tears? Psssh! T. Rex tears. Emotion eating? Yes to the nth degree. During the 18,000 stages of grief I was going through while finishing the book and ugly cry-texting my friends, I LIT-RALLY ate half of a batch of these Gluten Free Gingerbread Cookies, as well as a sizable portion of this batch of thumbprints. And amidst the ugly cry-texting, T. Rex tears and lone cookie fest-ing, I sobbed to myself, “I’m gonna have to bake more cookies,” because: gifts. The Fault in Our Stars: making air out of holiday cookie plates. You don’t need the excuse of a tearjerker to pop thumbprint after thumbprint in your mouth. And you don’t get to feel guilty over these, because there’s no sugar, dairy, or grains in the whole recipe. 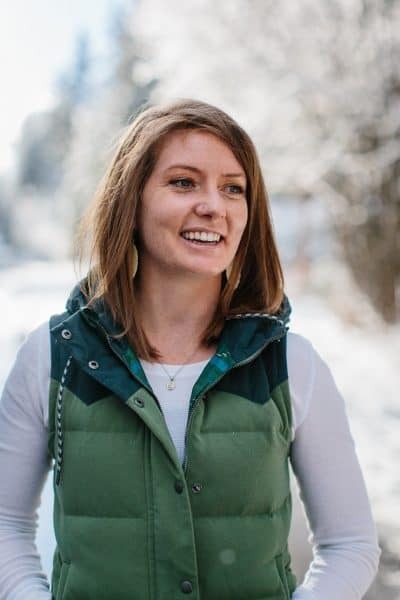 You’re seriously just eating protein. And fat. But fat is good, fatisgoooooooood! The thumbprints taste SO buttery in spite of the fact that there’s ZERO butter in them. And they’re the easiest things ever to make. You just stir every last ingredient together. No eggs, no creaming of butter and sugar. Just you, a bowl, and your good intentions. I used my Cranberry Sauce with Ginger and Maple (<- paleo) and Dalmatia Fig Spread (<- not paleo, but delicious) for filling these thumbprints. 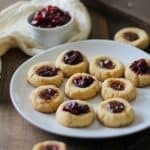 You can use any jam or preserve you’d like – just note that using store-bought jams will make these thumbprints un-paleo on account of the sugar. I won’t notify the paleo authorities if you don’t notify the book club authorities that it took me 2 months to read TFiOS. Make these for your homies! Add the dry ingredients to a bowl and stir to combine. Add the remaining (wet) ingredients to the bowl with the dry ingredients and stir vigorously until well-combined and a dough forms. Roll a small ball of cookie dough in your palms, and gently press the center with your thumb. Place on a cookie sheet. Repeat for remaining cookie dough. Fill the cookies with cranberry sauce (or preserves of choice) by measuring ½ teaspoon of sauce/preserves/jam per cookie, and placing in the center well of the cookie. Bake in the oven for 8 to 12 minutes, or until cookies are golden-brown around the edges. I know, The Fault in Our Stars is pretty rough! I read that about a year ago, and man, I don’t even know if I can watch the movie. These look like an amazing addtion to my holiday dessert menu! Ohhh ok I’m going a.) keep these all myself and b.) how did you not read that book until now?! Total tear jerker annnnd I loved it! These sound so dreamy! I love how easy they are! PS there’s an error in your recipe..it says ‘? cup coconut oil.’ Dang keyboard! Oh girl, I cried me some gator tears too when I read that book. Thankfully it wasn’t around the holidays so I didn’t have any cookies on hand but if I had these, it would have been dangerous! They look so buttery and perfect, it’s hard to believe there isn’t any flour or butter. I want to eat them all!! Love the cardamom in here. I want some of those cookies right now! Oh, and the Fault in our Stars was one of my book club books this year but it was so damn sad I couldn’t even handle getting through it. Julia, I immediatley Pinned this recipe, then read the comments above–thanks dessertfortwo for noting the ? coconut oil amount. This looks like a fabulous recipe and I look forward to trying it after you update the coconut oil ? This recipe doesn’t say how many cups of coconut oil to use. However, from similar recipes, I think it’s reasonable to replace the question mark (?) with 1/4 cup. It consistently seems that you add 1/4 cup of oil per 2 cups of flour. Thanks for doing the research! You hit the nail on the head. It should have been 1/4 cup. 😀 Many thanks, and enjoy! I could barely function while reading The Fault in Our Stars, let alone bake COOKIES. You, my dear, are a superwoman. I made these last night and they were absolutely divine! I missed the note about putting the jam in before baking, so I added it after and the cookies were still a success. Delicious recipe, thank you! These just came out of the oven. They’re amazing, and came to together so quickly! I made half with apricot jam, and the other half with strawberry. The apricot if my favorite. Thanks for the great recipe! Hi Lala, generally gluten-free cookies are more crumbly than regular all-purpose flour cookies, but I didn’t have that particular issue with this recipe. I’ll have to make them again and see if the recipe needs to be tweaked. Thanks for dropping in! 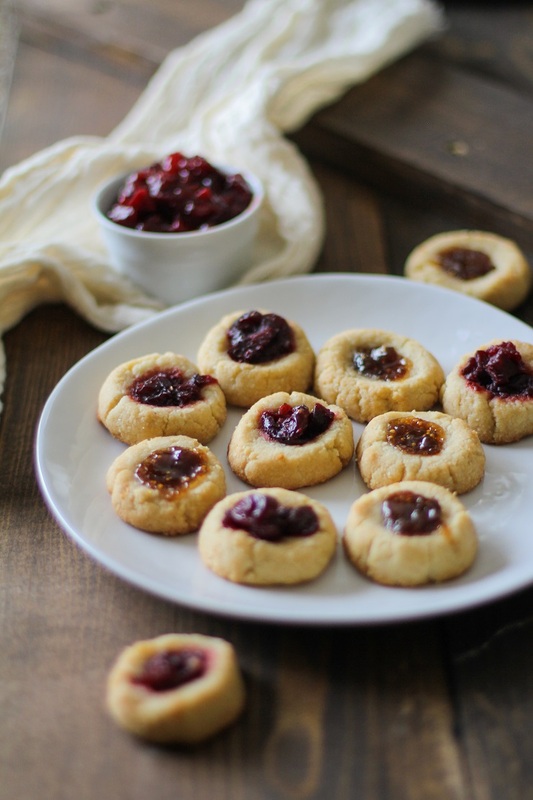 Hey so I made these tonight but I made them with nut pulp I had dehydrated from making nut milk, and they didn’t stay together so I ended up putting the “dough” in ramekins and topping with jam. That was a user error, and I will try again when I get more actual almond flour! Regardless, the flavor is AWESOME! I used some honey-fig jam I made and it just screams for some vanilla ice cream, or whip cream! Nice recipe, good that it’s vegan for people who need that! My new favorite cookie recipe!! These are 1) super easy; 2) super quick; 3) low in sugar, but you’d never know; 4) totally addictive! These were very good, I did however make a couple of changes. I used coconut sugar instead of the syrup (because I didn’t have any) and I added an egg because it seemed so dry I thought they may completely crumble. 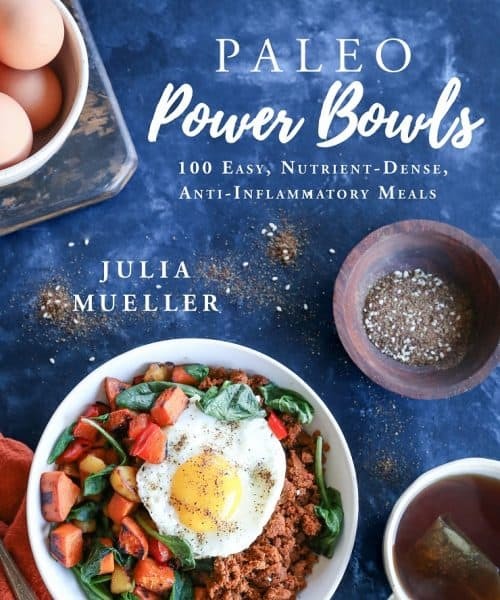 That definitely helped…….we don’t do the paleo diet, so maybe others could use a flax egg if it’s super dry. Next time I won’t add cardamom because our traditional recipe never did. And I will use 2 teaspoons of almond extract and no vanilla, again to be more traditional. They were wonderful though, so happy to find them, we don’t even miss the wheat flour in them! Thank you!